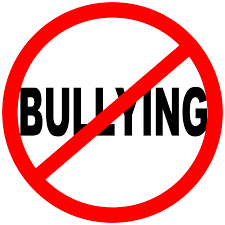 The definition of bullying is, “the use of superior strength or influence to intimidate (someone), typically to force him or her to do what one wants“. Based on this definition it seems like everyone has been bullied. When it affects our own children that’s when we tend to need it to be stopped in its tracks. Like every other parent we seem to have our own methods for what should be done. With the advent of social media it seems as if bullying has taken a newer and more dangerous role in our children’s lives. There is much information on why children bully, some agreement and disagreement. Where everyone comes together is that the impact of the bullying on a victim can cause it’s own long term trauma which can sometimes lead to suicide. Monica, one of our Network staff published a facebook post (https://www.facebook.com/CTAfterSchoolNetwork/) on a program that Finland uses to teach bystanders to empathize and intervene. The program is not a “one off” but is built into the curriculum for every grade. It is one of the few anti-bullying programs that can prove their program works. Since it starts if the very first grade, its true success will be seen in the years to come. Another resource I found complete and very useful is at this website : http://www.prevnet.ca/resources/bullying-prevention-facts-and-tools-for-schools . It has a whole toolkit of steps and fact sheets to help organizations develop an anti-bullying program. Like everything else in this world it is hard work to help prevent bullying. Like terrorism it takes ordinary people to stand witness and report situations that are morally wrong.